Five round brilliant Columbian Emeralds set with Knightsteel dome and radiating lines of 24K Gold shaped inlay. 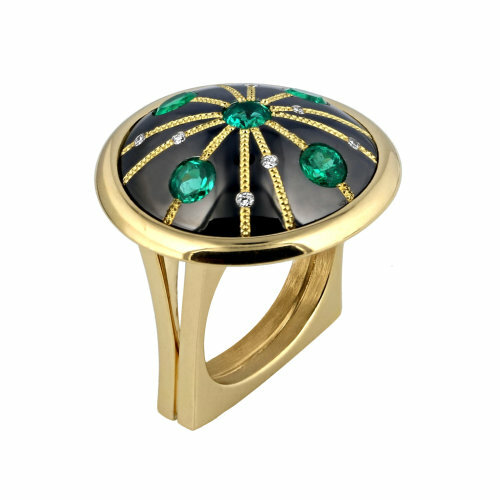 Five round brilliant Columbian Emeralds (.91 ct. total) set in Art Deco inspired ring with Knightsteel dome and radiating lines of 24K Gold shaped inlay. Accented by eight .01 ct Diamonds in an 18K Gold shank.